The idea that all current mysteries will eventually be solved using the scientific method has been called scientism. Stephen Barr describes scientism as the notion that “all objectively meaningful questions can be reduced to scientific ones, and only natural explanations are rational.” In biology, a subcategory of scientism is evolutionism, the concept that all biological questions (including those concerning the nature of humankind) are reducible to explanations derived from the Darwinian theory of evolution by natural selection. One of the more outspoken proponents of this view is Sam Harris, a leading figure among the New Atheists, and a fierce antitheist. Harris has written a book and given talks on the idea that morality—broadly, the act of discerning good from bad—can be derived from science. On the face of it, this seems strange, since the scientific consensus, especially in evolutionary biology, has always been that nature is morally neutral. We know, as scientists, that sharks are not “bad” any more than dolphins are “good.” The true evolutionary view (I always thought) was that fitness is related to success, not goodness. The problem is that as human beings, we know that goodness exists, so it must be accounted for, and if one is a staunch believer in scientism, it must be accounted for scientifically. In some situations, this accounting seems to be possible. There is a large literature on kin selection as the basis for some kinds of altruism, and Dawkins has made the case that what he calls “misfiring of genes” for kin altruism are responsible for human goodness. Harris claims that moral values can be based on scientific principles, and that no kind of cultural context, especially faith-based context, is necessary for humans to have a code of morals. He bases this argument on the idea that moral values are based on facts, and that these facts can be tested for their truthfulness. To some extent, this is an old idea. Murder, adultery, theft and lying—some of the best-recognized universal moral prohibitions, all tend to destabilize the coherence of social groups and would therefore be selected against in all societies. But Harris goes much further, using arguments and examples that are anything but scientific. 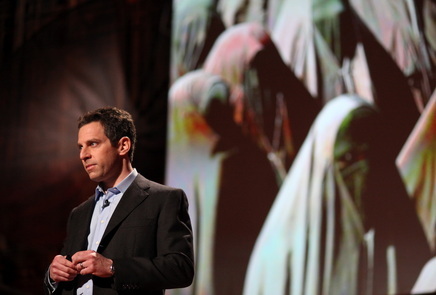 Since Harris is a leader of the antitheistic movement, he is interested in finding examples of religious practices that he believes can be scientifically proven to be immoral. He cites the abusive treatment of women in Islamic societies as a main example, and he mentions corporal punishment of children as a slap at Christianity. But we can ask the obvious question: Is it a good idea, generally speaking, to subject children to pain and violence and public humiliation as a way of encouraging healthy emotional development and good behavior? Is there any doubt that this question has an answer, and that it matters? Harris clearly believes the answer to that question is no, and I agree with him. But where is the science here? Has he data to show that children who were subjected to corporal punishment had worse emotional development and behavior than children who did not undergo such punishment? No. He has no such data, and in fact while he considers the wrongness of corporal punishment to be an obvious fact, there are millions of people who consider it to be just the reverse. There is no science here; there is simply a basic underlying moral idea, which Harris shares with others. The evils of Islamic fundamentalism are strongly touted as morally indefensible from a scientific point of view. But what kind of fact is it to say that making women cover their bodies is wrong, other than the “fact” that Harris thinks it is? All cultures treat women differently. Is there a science for determining the optimal way to treat women? If there is, it isn’t mentioned by Harris. The idea that the oppression of women is as scientifically disadvantageous as it is morally wrong is demonstrably false. In fact, the moral values of Harris, which are typical Western Judeo-Christian values, are largely counter-evolutionary. What we see when we look at history or sociology, is a background of true selection-positive behavior—indiscriminate killing of enemies, sexual aggression, concentration of power in a dominant faction—on which has been superimposed a moral code, followed and enforced despite its anti-evolutionary tendency. The real question to ask is: How is it that humans obey any of these moral codes that do not help them survive as individuals or as members of a culture? Now the irony, from my perspective, is that the only people who seem to generally agree with me and who think that there are right and wrong answers to moral questions are religious demagogues of one form or another. Of course that is correct, because both Harris, and the people whom he calls “religious demagogues,” have formulated moral codes that they hold to in the absence of any “scientific” data. The argument that morality is outside the scope of science is not a hard one to make, but it isn’t only morality that must be excluded from the domain of science. The more important argument is that very few of the ideas of evolutionism are based on anything remotely scientific. This is because the evolutionism paradigm includes many distortions of Darwin’s great theory, and too many of these distortions have become accepted by an antitheistic academic culture without proper rigorous analysis. The fallacy of Dennet’s argument undermines his other imperialist hope that the universal acid of natural selection might reduce human cultural change to the Darwinian algorithm as well … The chief strategy proposed by evolutionary psychologists for identifying adaptation is untestable and therefore unscientific. Cunningham has also explored this issue in Darwin’s Pious Idea. Social Darwinism, eugenics, evolutionary psychology, sociobiology, mimetics and other nonbiological applications of Darwin’s theory are not rationally consistent with the fundamental properties of evolution by natural selection. Evolutionism has been used to “explain” all sorts of dynamics in culture, using evolutionary concepts. But, while the evolution of devices that play music (as an example) might bear a resemblance to the evolution of carnivores, it is a superficial resemblance. Devices do not replicate themselves, so they cannot be the target of selection. Scientism is a failed philosophical approach to the pursuit of universal truth. Its failure should be evident especially to scientists who, more than most, understand the limits of their fields of study, as well as the enormous effort it takes to wrest nuggets of pure truth from nature. We must, as previous generations of enlightened thinkers have done, admit that issues of morality, beauty, thought, love, art, and culture are not approachable by scientific methodology or tools, or we risk losing a huge part of our human endowment of special (if not divine) genius.